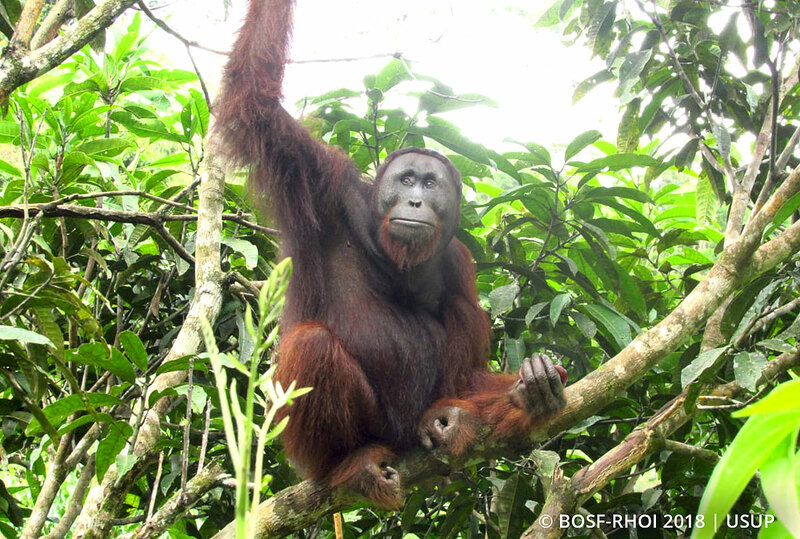 BOS Orangutan Releases: Hamzah Reappears! November 6, 2018 — Due to an intense release schedule in the southern part of the Kehje Sewen Forest, our Post-Release Monitoring (PRM) team has not been able to collect much data lately on the orangutans released in the northern part of the Kehje Sewen Forest. The absence of orangutans in this part of forest is suspected to be due to the success of released orangutans in finding new forest areas with more abundant food sources. However, the PRM team from northern Kehje Sewen Forest’s Camp Lesik recently spotted Hamzah, a male orangutan released in May 2012, very close to camp. In the late afternoon, just as our team was about to start cleaning up around camp, a loud crack and the shaking of branches was suddenly heard from some trees near the camp. Our team members quickly grabbed some binoculars in anticipation of an orangutan appearing, but the failing afternoon light made it difficult to get a clear visual on the mystery visitor. One PRM team member cautiously approached the source of the sounds, and discovered that the orangutan in question was Hamzah. Last seen sometime in 2017, Hamzah is no stranger to our team. The team immediately set about observing him as he busily constructed a nest up in the branches. In less than 10 minutes, Hamzah had completed his nest and settled in for a sleep. When we checked the location of his sleeping nest the next day, Hamzah was nowhere to be seen! 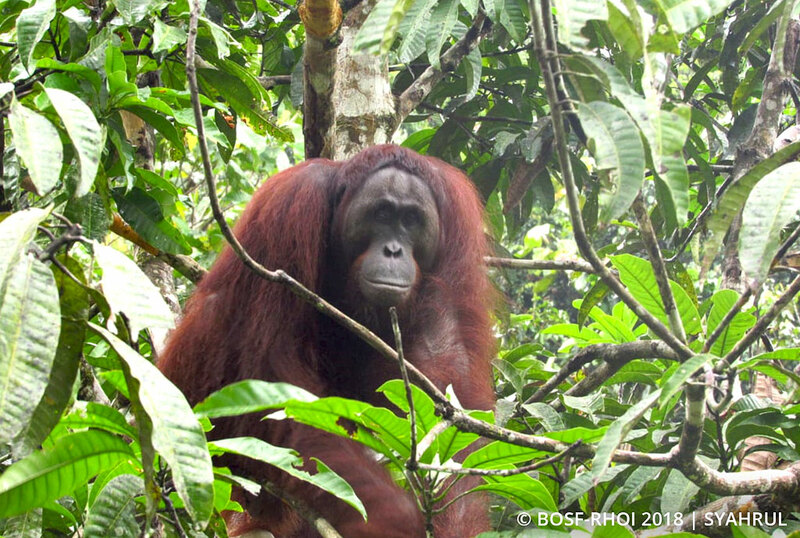 It seems he made an early start to continue exploring the wilderness of Kehje Sewen Forest. Our brief observations indicated that Hamzah was in good health. As much as we prefer that released orangutans roam far and explore the full expanse of the Kehje Sewen Forest, it is always a good feeling to occasionally bump into them and see how they are doing. It is amazing to witness these orangutans living free and thriving in the wild, after many years of rehabilitation. We’ll see you again someday, Hamzah!